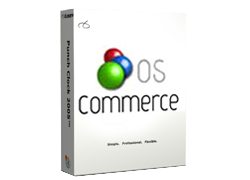 Os Commerce (open source Commerce) is an e-commerce and online store-management software program. It can be used on any web server that has PHP and MySQL installed. It is available as free software under the GNU General Public License. Os Commerce provides you the tools to create your very own online store to start selling products and services to customers worldwide. Make products available to everyone worldwide and to make that possible with release all of products for free with Open Source licenses. Manage a thriving community of store owners, developers, and service providers who help each other during the many stages of an online business. Focus on what is best and additionally partner with experts who focus on providing you the best services possible. Os Commerce Online Merchant is the best, multi-functional and multi-lingual solution for your online shop website. Os Commerce is an Open Source online shop website builder, You don't need any particular programming knowledge to handle the easy set up process and manage all your online shop services and features. KN Technologies is the perfect host if you have decided to use the Os Commerce shopping cart. With us you will get Os Commerce installation, additional e-commerce resources, powerful servers, high quality customer service and great hosting features!